The HTC One X and the Samsung Galaxy S III have been battling it out as the best quad-core smartphones available in the market. But now these two devices are joined by a third contender, the LG Optimus 4X HD. Does it have what it takes to stand tall with the big guns or are you better of with the tried and tested? Read on to find out! One look at the LG Optimus 4X HD and the first thing that will come to mind is that the device is huge. It has a large 4.7-inch IPS LCD display which feels a little more rectangular in shape when compared to the HTC One X (read our review) or the Samsung Galaxy S III (read our review). 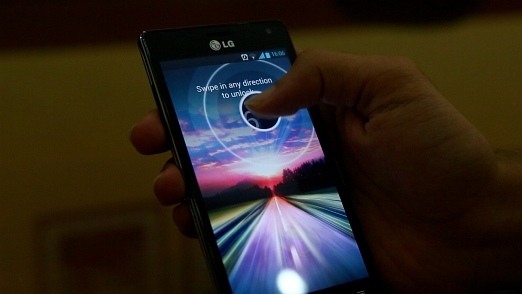 Just like the plethora of other Android devices in the market, the LG Optimus 4X HD sports three touch sensitive buttons below the display – back, home and menu. Long pressing the home button brings up the multitasking menu and you can close apps from here by simply swiping them out of the way. The face of the LG Optimus 4X HD is simple and clean with the LG logo resting below the earpiece. To the right of the earpiece is the 1.3MP front facing camera for video chatting. The rear of the LG Optimus 4X HD has a textured finish to it. 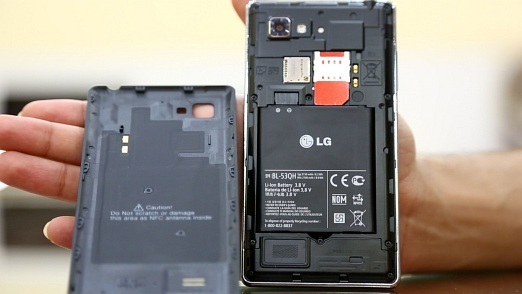 The rear panel is quite plasticky and houses the 8MP camera with an LED flash. The overall finish and the feel of the device in our hands was a bit better with the HTC One X and the Samsung Galaxy S III as they sported a polycarbonate finish. The LG is not bad by any means but the feel of the device in one’s hands could have been better. In terms of controls too you have the standard assortment of physical buttons. The power/sleep/wake button rests on the top of the device along with the headphones jack. The top is a more convenient place for the power button as compared to other devices that have it on the right panel. The volume rocker rests on the left of the LG Optimus 4X HD. It is really slim and blends into the left panel. For look and design this is a nice touch but ergonomically, it’s easy to lose the volume rocker. 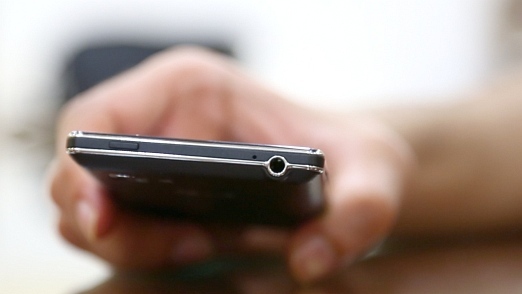 The bottom of the device houses the microUSB port. All three devices in the quad-core war boast of their own unique identity with their design and build. The HTC One X has quite a bold look, the Samsung Galaxy S III has an elegant look to it and the LG Optimus 4X HD goes for a simple candy bar form factor maintaining elegance and is seemingly very reminiscent of the LG Chocolate BL-40. On the specifications front, the LG Optimus 4X HD boasts of the Nvidia Tegra 3 quad-core processor clocked at 1.5GHz, 1GB of RAM,16GB built-in storage (12GB user available), expandable up to 32GB via a microSD card. The HTC One X gives up on expandable storage by offering 32GB internal storage (26GB user available), however Dropbox storage is available. The Samsung Galaxy S III is the king here offering 16/32/64 GB internal storage (only 16GB variant available in India) and users can add another whopping 64GB via a microSD card – it also features Dropbox storage. The display on the device is a 4.7-inch True HD-IPS LCD capacitive touchscreen with a resolution of 1280x720. The display on the device is truly gorgeous. Whether you are reading text, watching videos or playing games and running apps, you will fall in love with the vivid nature of the LG Optimus 4X HD’s display and the fantastic viewing angles. The device runs on Android OS 4.0.3 ICS, same as the HTC One X. 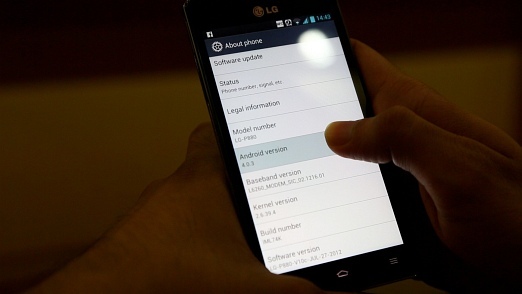 While reviewing the LG Optimus 4X HD we did check for software update there weren’t any available. The S III ran on ICS version 4.0.4. One thing we were afraid of was the skin overlaying the OS on the LG Optimus 4X HD. Samsung and HTC have passed the test of time and their skins, TouchWiz and Sense UI have been accepted and there is hot debate on which is better. We are pleased to say that the skin on the LG Optimus 4X HD isn’t as bad as we have found on some other LG smartphones. It isn’t TouchWiz or Sense but its good nonetheless.